I miscarried two summers ago. I was very newly pregnant. And, I knew something wasn't right early on, and it was a few weeks of tests and good results and hope and then bad results and sadness and then the final words from my doctor telling me I had lost our baby. I confided in my sister and a few very close friends who had been through miscarriages while all of that was happening, but waited weeks before I could tell anyone else - even our families. I had so much going on in my head and heart and I wasn't sure what to do with any of it. So I just didn't. Do anything. I remember that time with such clarity and if I sit and think on it, I can take myself right back there. While I was hurting, I didn't learn anything. Or at least I didn't realize I was learning. Because I was raw and ripped open inside and I hurt in a new and unexpected way and I wasn't sure what to do with my mess of a heart. But, now, two years later, I can see how God used that experience and that time to mold and shape and to teach me. God gave me a gift through my miscarriage. He gave me a new kind of love. A compassion for my sisters and friends and strangers on park benches and you who might be reading this who have also miscarried. And, I learned - with new eyes - that God would carry me through yet another kind of trial and heartache - just as He had so many times before. As I look back on that time in all of its emotional complexity, I want to share with you what I learned about the pain of early miscarriages. Just about every woman I know has either experienced one or has a friend who miscarried. Before she was showing or shared her news with family or made that Facebook announcement. When I think about how I can love someone who has just experienced an early miscarriage, these are the thoughts I now carry with me when I sit across from them and try to love on them in the best ways I can. 1. A baby is a baby. I believe that life begins at conception. And, when a woman miscarries, I believe a life is lost. Not a pack of cells. Not fetal matter. A baby. A life. When a woman miscarries early - whether she's heard a heartbeat or told her family or announced it on Facebook with all of its pomp and circumstance - that baby is still a very real set of hopes and dreams. I needed to hear that validated to me. I had already begun to dream. I would rub my belly and I prayed for my new little one to grow and I imagined what it would be like to tell my little boys and how they'd jump up and down and I wanted to be a Momma, again. When I miscarried, all of those hopes and dreams came crashing down around me. I felt foolish and embarrassed and I didn't even know why. When one of my trusted friends said, "Sarah, you lost your baby", that was balm on my broken heart. Yes. My baby. And, I began to heal. 2. I needed permission to feel whatever I was feeling. I was only a few weeks pregnant when I lost our baby and I felt so guilty when I would cry about it - weeks later. "But, she had a stillborn. That is WAY harder than this." "She had four miscarriages and you have FOUR children." "She has been trying for 10 years." These kinds of inaudible "she" voices popped into my head every time I would feel sadness coming on. So I would try to fight back my tears and focus on others' losses instead of mine and that only served to turn my sadness into guilt and the weight of that was crushing me. When I was with an understanding friend who let me share and cry and gave me permission to FEEL what I was feeling, I let go of the guilt and I felt so loved and cared for. I longed for validation of what I was feeling. And, when I found it in a friend who had been there, I felt so very loved. 3. I needed to be held. There are times when grief needs to be met head on with words. I needed to know I wasn't alone and to hear the experiences of others and I needed to hear comforting words - especially God's word - and I needed to talk it through. But, oh how I needed to just. be. held. My husband's arms never felt more comforting or true and my friends hugs - the ones that came when I said, "I don't know why I'm still so upset". Those. I needed those. I needed to feel understood and look up into the faces of those caring for me and know that I wasn't crazy for being sad. And, that human touch - that feeling of being physically held up by another when I wanted to sink into a puddle on the floor was love displayed to me. 4. I could choose to share in the joy of others. As I've talked with my close friends who have miscarried, we all agree that one of the most difficult things you face when you've recently miscarried is to hear that someone you know is pregnant. I already had four children, and while fighting the guilt-monster that kept reminding me of that, I still felt the sting of my loss in a very real and acute way when I heard or saw someone else was expecting. But, when the initial pain lessened, I found that when I deliberately chose to share in the joy of my friends and family who announced new pregnancies, real and tangible and heartfelt joy for them landed right on my heart. Real joy - deep in my heart and down in my soul and as I looked at their faces and went to their baby showers, God was using that joy in my heart to stitch up the wound in me. When I realized I could CHOOSE joy, and that I didn't have to crumble in sorrow, I traded helpless for hopeful. I didn't know I could do that - be truly joyful for another when my heart bore a gaping hole. And, you know what? I couldn't. So God did it for me. And, I felt true joy for the women I loved because He gave it to me. He gave me joy. And it not only filled the gaping hole in me, but it spilled over onto those I loved. 5. God always meets us where we are. I can't imagine having a stillborn. Or losing one of my little children now. And, when I try, my heart starts racing and I feel like I can't breathe and I feel such fear because I don't know how I would ever recover from such pain and loss. As I tried to compare my early miscarriage to the suffering of others, I felt that I was undeserving of God's truest grace and tender care because I simply wasn't suffering like others had suffered. But, as Elisabeth Elliot says, “There is no grace for your imagination.” God met me where I was - deeply saddened from losing my baby, and He met me there with an abundance of grace as I was loved by friends who prayed with and for me and who held me and allowed me to cry and feel whatever I wanted and needed to feel. He was there with comfort from His word and He SHOWED UP - just like He always does, every time, in every struggle. He wasn't asking me to walk another's road - He was asking me to trust Him as I walked the road He'd set out for me, and I need only to trust Him and know that HE WILL BE THERE. He always was. He always is. I now have Holly, my darling girl - who would not be my daughter if God had given me the baby that I lost two years ago. I was afraid when I first got pregnant with her - that I would lose her and my heart would break all over again and I worried. I did. I haven't slayed the fear-monster. Not sure I ever will. But God taught me this through my miscarriage: When we walk through the fire of loss or struggle or pain, God is often doing His best work in us. He is gifting us with new compassion and new understanding - when we wouldn't know them had we not walked through the fire. That He may use our broken hearts, to help heal the heart of another. How absolutely lovely. As someone who has also miscarried with my first pregnancy, it is so healing to hear another woman's perspective. I remember going to the OB/GYN after I miscarried, where the walls were plastered with beautiful paintings of pregnant women and mothers with children, and I just wanted to crawl into a hole and hide there, forever. It took me a lot longer to heal from it. I wasn't ready to be comforted. But the Lord was there with me the whole time. And his arms were always outstretched, waiting for me to turn back to him. Just as you said, this experience has taught me so much. Thanks for sharing. Beautifully written (of course...it's you) and so helpful to me as I try to be compassionate and reach out to women around me. I am so glad I've subscribed to your updates via email :) I miscarried June 18 and had a call today from a doctors office asking why I hadn't come for a check up regarding the pregnancy. They hadn't gotten the message that I had lost the baby. Anyhow, the call triggered emotions I hadn't felt recently. As I was putting my baby boy to sleep tonight I was thanking God for His life and for comforting me in my sadness while my husband is away for work. I laid my baby in his crib and grabbed my phone showing one new email - this entry. I too have learned the most comforting words from miscarrying, is the acknowledgement that our baby died. And to know and share the pain with other women who have lost theirs. My husband and I dream of a big family and I so fear the feelings I know will accompany my next pregnancy. I have thought a lot about how I will surely want to wait to announce the pregnancy much later around 12 weeks instead of at 5 weeks (one week before I miscarried.) But when I consider the way the Lord has healed me, He didn't do it in private or secrecy. The Lord healed me through each and every person who reached out to me and acknowledged life lost. If no one had known, I think the miscarriage would have been even harder on me and I would have felt more of that guilt and misunderstanding from people wondering why I was shutting them out. I can't wait to be pregnant. I think that's been one of the hardest post-miscarriage feelings I deal with. I love babies and have been healed by rejoicing in all of the new lives being born, but I really miss carrying life by God's grace. Thank you, Sarah, for always having the courage and words to blog and share your life with us. You are truly gifted in your ability to encourage all of us, even though we haven't met! Wow, thank you, Sarah, for sharing. 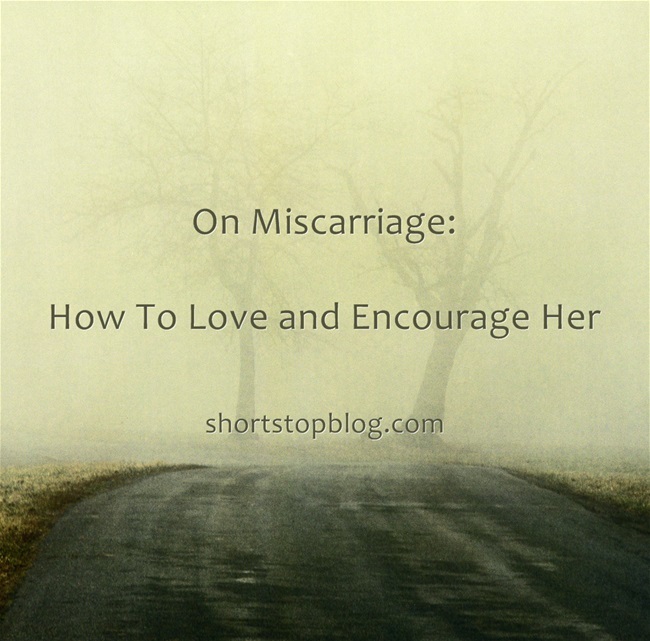 Your blog on miscarriage was the most beautiful and encouraging writing I have read on the subject. I completely agree with your thoughts. Losing my "Peanut" a day shy of 11 weeks was the worst heartbreak I have ever endured. But, God's grace and compassion prevailed. He carried me through the next eight months of darkness (including being told we couldn't get pregnant naturally) and gave us a huge surprise. Our Elliana "Ellie" Joy (Elliana means "God has answered") just turned two! God is, was, and will always be--GOOD! Thanks for sharing this! I love reading your posts... they are always so encouraging:-) I am still healing physically/emotionally from my last miscarriage I had 3 months ago.... my baby would have been 11 weeks when I lost him/her... my 4th pregnancy. My 1st pregnancy ended in a miscarriage as well. It never gets easier, but you are right in shouldn't be easy. It should be heartbreaking... because we are losing real little babies and that is tragic. However God is with us and when it always amazed me how in so many different ways He wrapped his arms around me! I love how you mentioned "choosing" to celebrate the new pregnancies and births around you when you were still hurting. I've been trying to do that too since I really am surrounded by it right now. We really do have a choice. Not always easy. But if we make the right choice and choose joy in our pain, God really does use that to heal us. This is it. You are so right! 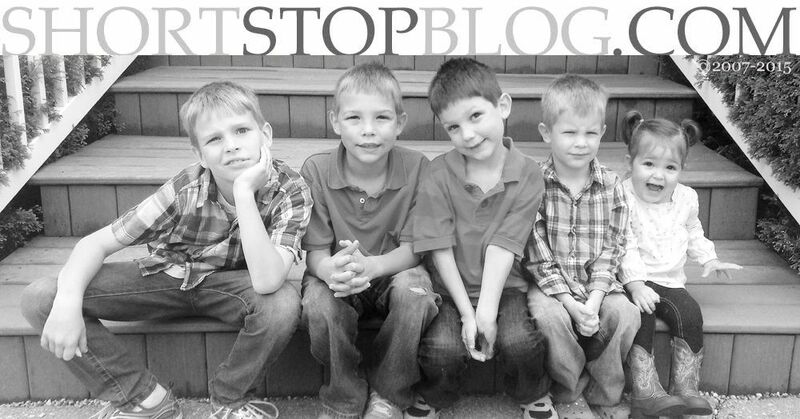 I had a miscarriage after 3 healthy children and it stopped me cold in my tracks. People tried to comfort me by telling me it wasn't really a baby and something was wrong, so my body was taking care of it now. But to me...I lost a baby. We successfully just had our 4th child and like you, I know we wouldn't have had this baby if God hadn't taken me through the miscarriage but nothing could have prepared me for that. I thought that miscarriage was an "event" until I had one and then I learned that it was a process. I should have had much more compassion for friends who have had miscarriages before but now I can truly offer my sympathy and compassion. Thank you for writing this. 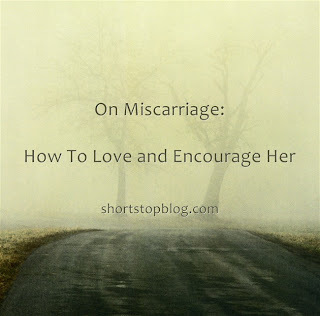 This post had me teary-eyed, as I am going into week two following my third miscarriage. It has been very hard, especially since my husband and I have decided not to try again. We are high school sweethearts, who have reconnected 24 years later, and married. So we are both in our 40's, making it very difficult to make it through a pregnancy all the way. It was so well written and perfectly described all the feelings I've had, even this being my 3rd attempt. I do have 3 grown children, so I am not childless, but the pain of not being able to give my husband a child of our own has been at times unbearable. Thank you for sharing, it has really helped my broken heart. This post is absolutely beautiful. I miscarried with my first pregnancy (when I was 22) and had never known anyone who had experienced one before. I felt so alone. When I shared my news with the women I worked with I found out that it is unfortunately incredibly common. That didn't make the pain or hurt go away, but at least I didn't feel alone. So many women stood by my side and told me about their experiences and how they got through the pain. I now have a beautiful daughter that I love more than life. I know that sharing your feelings and recollections from that time must be hard, but I appreciate it more than you know. Having the knowledge that you're not alone is comforting. Thank you for writing down my thoughts for me... You are truly blessed with eloquence.